Police have named a married Ashton couple who died in a road collision in which their children were also seriously injured. Mark (known as Mike) and Karen Young, both aged 37, died following a collision on Liverpool Road on the border between Haydock and Ashton on Sunday evening. The couple’s two children - a boy aged 16 and a girl aged 12 - were also injured in the crash and are currently in a serious condition at a Merseyside hospital. A third male in the car (who is not related) aged 29 was also injured and his condition is described as critical. The 27-year old male driver of a red Vauxhall Corsa who was also involved in this incident, is also receiving treatment for minor injuries in hospital. 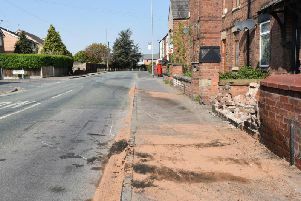 Anyone who witnessed or has any information on this incident can call Matrix Roads Policing Officers on 0151 777 5747. Alternatively call the 101 number quoting reference number 887 of 17 December 2017 or Niche 0517323098 or call Crimestoppers anonymously on 0800 555 111.